If you Google the topic “How to Hire a Professional Contractor” you will find thousands of recommended tips on hiring a Pro. I’ve found some lists that had over 40 questions to ask a potential Chicagoland contractor, including asking them if they are married/divorced, if they attend church, what charities they support etc. While I understand the purpose behind those questions, I think that is going a bit far! And I will be honest, if I had a potential client interviewing me asking which charities I support (my latest favorite just so happens to be the Midwest Center for Homeless Veterans in Wheaton) I would be a little nervous, I can’t lie. The bottom line is this, the language of the contractor is MONEY. You have to talk their language. Second, contractors are the closet thing we have to 21st century cowboys (not my original idea, thank you John). You will notice that some contractors act and appear like modern day cowboys. What I mean specifically is that they may look a little “rough” (I’m trying to be nice here), they may think cursing around your wife and kids is perfectly acceptable, and he may get so mad when you tell him that he shouldn’t have rinsed that bucket of cement out in your kitchen sink that he storms off the job and leaves it trashed because he won’t be talked to like that by any dude! The cowboy type tends to have authority problems. My recommendation? I would tell this type of character to mosey on out to the pasture, and find a contractor who is a professional, linked with professional trade organizations, and who truly wants to be your partner. A good contractor understands that home renovation projects usually represent the largest investment a person will ever make, next to purchasing the home, college education, and/or a nice new Ranger Rover. It’s a lot of money, and if you value your money as much as I do, then you will want a professional to do the work. The things you might want to know before bringing a contractor into your home may vary a bit, but I would argue that there are some ESSENTIAL questions that you MUST know. And if your potential contractor doesn’t want to answer these questions, or gives you the run around, then you should move on quickly! It’s a red flag if they can’t answer these questions quickly, or if they look or act nervous. Here are the top ten questions to ask a contractor before hiring, in order of importance…. Do you have full liability insurance? How soon can I get a copy of your Certificate of Insurance? (My opinion is the policy should cover at least $1,000,000 and that’s the bare minimum). Do you have Workman’s Comp insurance? How soon can I get a copy? Do you have employees or subcontractors? If using subs, are they also fully insured and how soon can I get a copy of the Certificate of Insurance? (I don’t have an opinion about subs vs. employees, I think both models can work, I’ve seen very solid companies who only have employees as tradesmen and those who only use subcontractors; both models can successfully use quality control and maintain excellent customer service). Does your trade require licensing? In IL roofers must be registered with the state to operate legally, and plumbers and electricians have actual license numbers. Everyone else is technically a free-agent; scary, I know. What is your license number? What is the project schedule and will you commit it in writing? What are the payment terms? Can I just say, never ever ever give a deposit to a contractor? We don’t believe in deposits (payment for work that has not been performed). We DO believe in a Progress Payment Schedule. How long do you warranty your work? Anyone worth their salt has warranty that is longer than a year, just my never-to-be humble opinion. Do I have the opportunity to inspect the work prior to releasing the final payment? Can I have three references from projects completed in the last 3 months? If they can’t give you three RECENT happy customers, then you might have a problem. There are a few more important questions I could add to the list, but these ten are non-negotiable. At Best Tiling, we actually believe that we are part of a select-group of contractors who wish to restore the consumers faith in our trade and profession. We operate from a place of honesty, fairness, and ethics, and we will never tell you that you have a problem that needs to be fixed to make a buck. I think there are many good, honest contractors out there, and we need to all be diligent to remove the contractors who take advantage or steal money from consumers. Do you have a nightmare story about working with a contractor? Do you have a friend with an unbelievable story? We want to hear it! We will select our favorite story by July 15th, and the lucky winner will receive a dinner gift card for Wildfire. 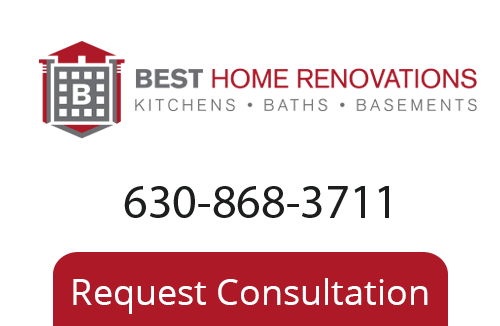 If you are looking for Chicago Remodeling Company please call 630-868-3711, email us at consult@thebestreno.com or fill out our online request form.